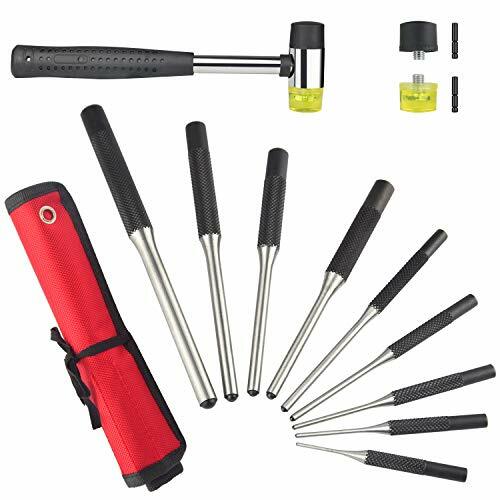 Full set roll pin punch:9pcs different size including 1/16", 5/64", 3/32", 1/8", 5/32", 3/16", 7/32", 1/4", 5/16"punch size, this roll pin punch set kit is perfect tool for gunsmith, jewelers, watchmakers, engineers, carpenters - use on Machinery, Vehicles, Woodwork and Crafts. View More In Pin Punches. If you have any questions about this product by Twod, contact us by completing and submitting the form below. If you are looking for a specif part number, please include it with your message.